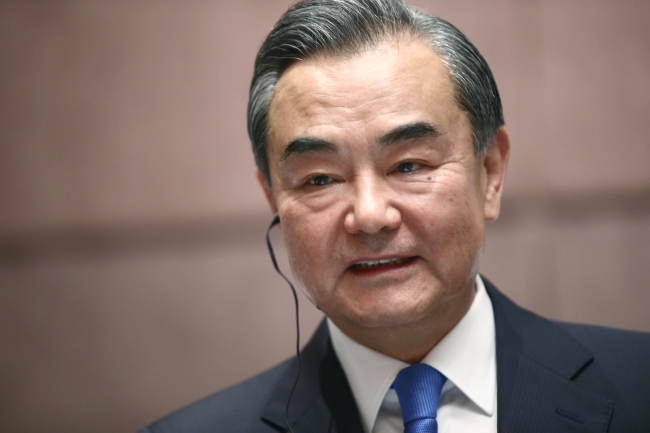 China’s top diplomat expressed support Thursday for the declaration of a formal end to the Korean War, saying such a declaration is in line with the trend of the time as nobody wants a repeat of the conflict on the peninsula. “So the issue, the declaration of the end of the war, is in keeping with the trend of our time and reflects the aspiration of people of all countries, including the two countries on the Korean Peninsula,” he said through an interpreter at a press conference. He is in Singapore to attend the annual ASEAN-related meetings. Making a gesture of ending the war with the declaration by the two Koreas or other parties is “obviously a good, positive thing,” he added. He did not elaborate on the questions of whether there needs to be any precondition for the largely symbolic, legally non-binding declaration and China should be involved in the process. He drew a line between the declaration and efforts to replace the Armistice Agreement with a peace treaty.